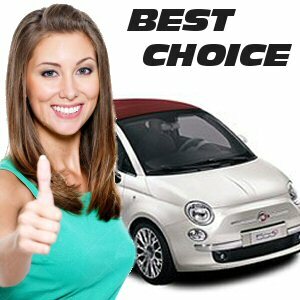 Please find here the most frequently asked questions about Car Hire by TravelChoiceCars. Yes. Please have your booking ID ready. You will also be asked to provide a description and details of the changes you wish to make. Go to http://www.cartrawler.com/portal/portal.asp?affiliateId=1〈=UK to amend your booking. Please note we cannot guarantee you will receive the same rate as your original booking. Rates change frequently and are set by the car rental agents. Go to http://www.cartrawler.com/portal/portal.asp?affiliateId=1〈=UK to change your pick-up or drop-off times and dates. Please note we cannot guarantee you will receive the same rate as your original booking. Rates change frequently and are set by the car rental agents. Part-paid Rentals (when the booking deposit has been paid online and the balance is due on arrival at the rental desk): If the booking is cancelled within 7 days of the car rental booking date and at least 48 hours before pick up time, all funds will be reimbursed. If the booking is cancelled outside 7 days of the car rental booking date and at least 48 hours before the pickup time, all funds except a cancellation fee of EUR 25.00 and the card processing fee (where applicable), will be reimbursed. If the booking is cancelled less than 48 hours before the pickup time, no funds will be reimbursed. If you requested any of these optional extras during the booking process, they will appear on your confirmation voucher once your booking has been confirmed. These extras are not included in the price quoted and they must be paid for on arrival. We would advise you to ring the car rental agent ahead of your arrival to confirm they will be able to provide you with the optional extras you requested. We would advise you to select our Excess Insurance provided through our partner Mondial Insurance. This policy would allow you to claim the cost of your excess for �5.50 per day. What is the Liability Insurance? It is an insurance limiting your liability for any damage caused to other people and/or other people's property. It is usually limited to a maximum of �1,000,000. The insurance is limited and there may be excess which means that you may be liable for any amount over and above the value of the insurance.